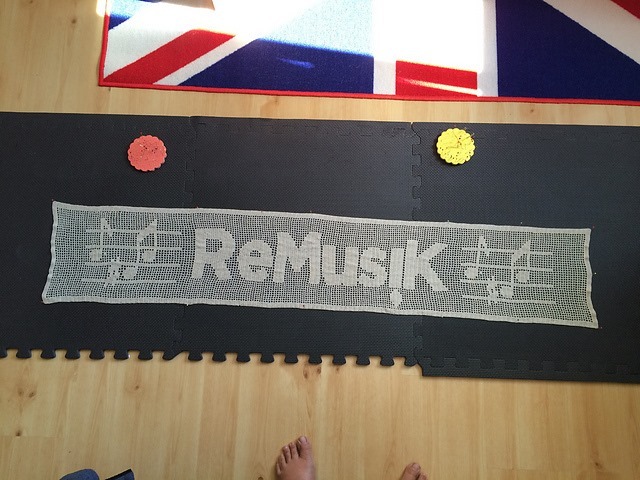 The ReMusiK tablerunner is ready! My husband asked me to crochet a tablerunner for the shop so I did this one and it’s ready. He was really pleased over it.